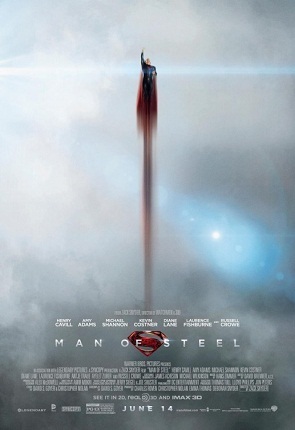 Hopes are high that Man of Steel, which opens today, will do the impossible and be a genuinely good Superman film in the modern sense, but I’m not so sure. It’s not that I doubt the acting talent of Henry Cavill, or the directing talent of Zach Snyder. I just think they’ve got the wrong Superman. “What if a child dreamed of becoming something other than what society intended?” Jor El asks as the camera focuses on a butterfly stuck in the chain of a swing in the trailer. Subtle. As far as his biological parents are concerned, baby Kal El’s biggest problem won’t be dealing with the reality of being an orphan from a dead world, it will be growing up in one that’s too limiting. As the trailer continues, the disembodied voice of Jor El encourages his son to be an example for humanity to strive for. How? Humans can’t shoot lasers from their eyes. Obviously, a character that’s been around as long as Superman is open to interpretation but, so far, this version seems more like an Ayn Rand character than Superman. 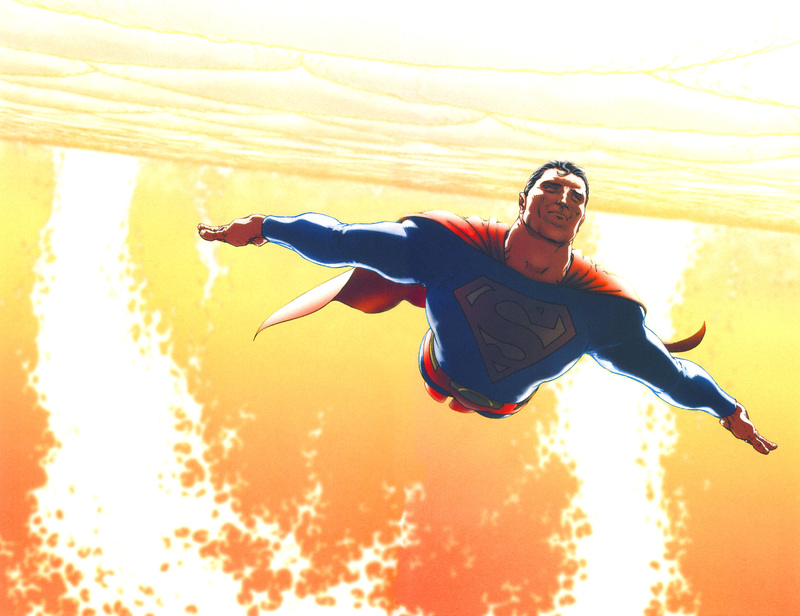 The two most important elements of Superman are his powers and his background. The powers are self explanatory, but Man of Steel has changed Superman’s background for the worse. Yes, he was born on Krypton, but he was rocketed to Smallville, Kansas as an infant. Raised by Jonathan and Martha Kent, he was imbued with American values, not Kryptonian ones. He’s just as ignorant as the rest of us, he can just outrun a speeding bullet. Superman isn’t an alien emissary sent to enlighten humanity; he’s a naturalized immigrant who just happens to have superpowers. He has the same values as the majority of people; he’s just in a position to act on them. Even in his more rebellious days during the 1930s, Superman’s ideas about social problems tended to conform to his human readers’. His ideas of social justice fit comfortably with FDR’s New Deal, and the only he time he intervened on a global scale to stop a non-super threat was when he dragged Hitler and Stalin to the League of Nations in a bid to prevent World War II (DC probably doesn’t consider this story canon). 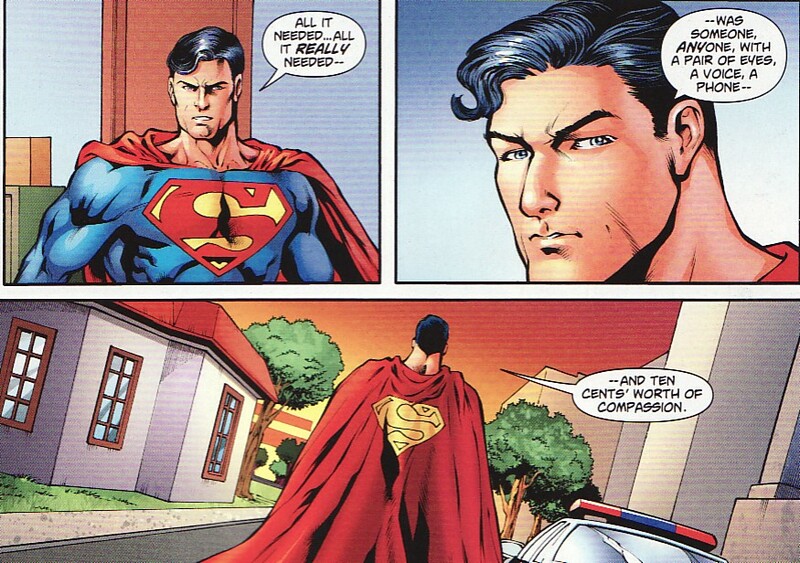 In fact, Superman’s passivity has earned him more than a little ridicule from fans. His reputation as the “Big Blue Boy Scout” is so resilient that Frank Miller even turned him into a government lackey in The Dark Knight Returns, blindly following the orders of a Reagan-esque president. Superman may be the original superhero, but the lack of conflict in his story has made it hard to keep him appealing to comics readers or moviegoers. Forcing Superman to confront the people he protects will definitely add conflict to the story of Man of Steel, but at the expense of his original characterization. If the movie is anything like the trailer, this new, more alien, self-righteous Superman won’t be a good substitute for the one lifting a car on the cover of Action Comics #1. Mort Weisinger had a problem. The executive in charge of National Periodical Publications’ (aka DC Comics) most prized property, Superman, was being called out by Albert Einstein. An MIT class had sent Weisinger a letter from Einstein, who said that no one, not even Superman, could fly faster than the speed of light. 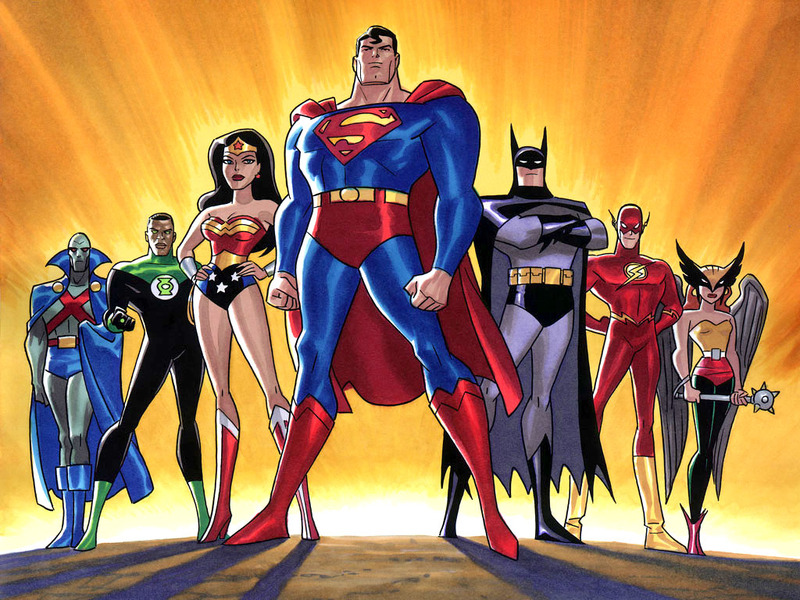 Comic book fans are often accused of having a fragile understanding of reality, but the flip side is that, aside from their otherworldly powers, superheroes have always been grounded in the real world. Why else would Einstein feel the need to play cosmological traffic cop with Superman? The superhero comic book genre is built on an important conceit. Just as people who enjoy Broadway musicals need to take for granted characters’ tendency to break out in song and dance, so readers of comic books need to assume that their favorite heroes live in the real world. It all began with Superman. The first superhero may be from another planet, but he grew up in a typical American town and lives in a typical American city. The only difference between Superman’s world and our world is the man himself. The existence of utterly fantastic beings in an otherwise realistic world creates many paradoxes, and comic book writers have been dealing with them since Superman first took flight in 1938. When the United States entered World War II each hero (through his or her writers) had to decide whether to enlist. DC’s near-omnipotent pantheon could have ended the war in five minutes, which presented a problem. 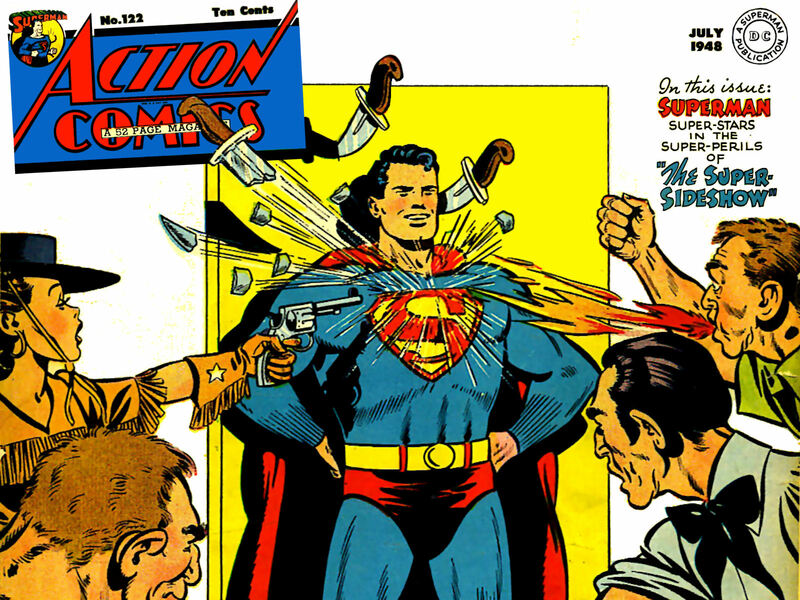 That’s why most of the DC heroes stayed stateside; Clark Kent feigned poor eyesight to give Superman an honorable way out, while the Justice Society of America feared the corrupting influence of the Spear of Destiny. DC’s rival Marvel Comics, created a hero specifically for fighting the Nazis. In his debut issue, Captain America socked Hitler in the jaw, a moment of catharsis for his Jewish creators whether it ruined the illusion or not. Since then, comic books have tried to address real-world political issues, from racism in Green Lantern-Green Arrow to privacy and national security in Marvel: Civil War. Just like World War II, the trick to getting these political comics to succeed is acknowledging the problems of the real world without having superheroes intervene in a totally unrealistic way. What about the superheroes themselves, though? In theory, they are real people under their masks and capes, and they should do what they do in a somewhat plausible way. Since he has no powers, Batman is a popular candidate for an ultra-realistic treatment. In Batman: Year One, Frank Miller had Bruce Wayne go on a practice mission in street clothes, driving a stock Porsche instead of the Batmobile. This approach helped inspire Christopher Nolan’s series of Batman films. Particularly in the first two movies, Batman Begins and The Dark Knight, plausible explanations are given for Batman’s methods and technologies, and those of this enemies. The Batmobile is a discarded military prototype, and the Batsuit is made of Kevlar body armor. However, even Batman has his limits. No matter how realistic he appears to be, he’s still a vengeful billionaire skulking around in a cape and cowl, and that, unfortunately, does not exist outside of comics. Giving a superhero a realistic environment and realistic equipment isn’t enough, which brings us back to the person under the mask, and on to the Marvel movie universe. Marvel’s movies are not as focused on realism as Batman Begins, but they still strike fans as authentic. That’s because the characters themselves are realistic. That is the superhero conceit in action. The characters may be super soldiers, irradiated monsters, and gods, but they live in the same world as readers and viewers and thus act the same way. That’s why the laws of physics don’t bother fans of Superman. His powers might be impossible, but he is not. How do you update a legend? Comic book writers face this problem every day. Just as a user restarted a computer in the cartoon ReBoot to erase the destruction of a system/city, so comics creators must reboot their characters every few years to erase the effects of stagnation. Since it’s been a year, and DC is about to undertake a second stage of revisions with its “Issue 0” releases, it’s interesting to look at what has worked, and what hasn’t. One of the biggest changes was to characters’ costumes. 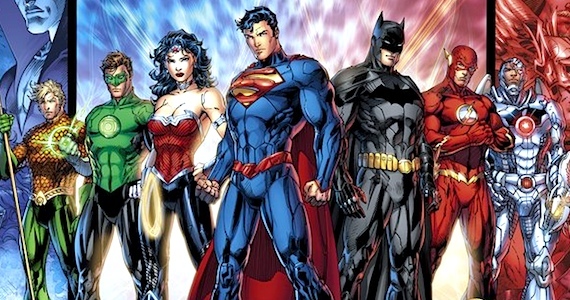 DC replaced the tights with tougher-looking segmented armor and some more subtle tweaks, with mixed results. Superman’s new costume looks pretty cool, but its backstory (it’s Kryptonian armor Superman finds on Brainiac’s ship that happens to be keyed to his genetic signature) is not. 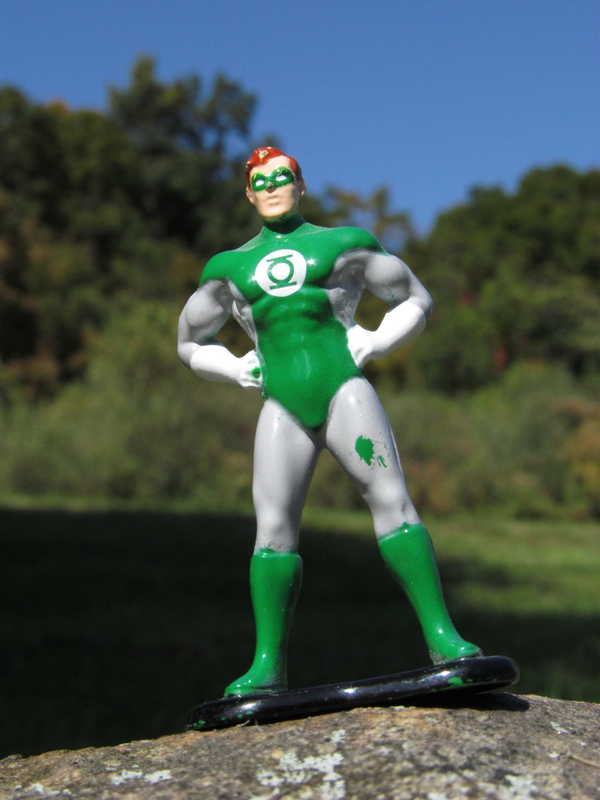 Disconcertingly, Green Lantern only wears his new costume in Justice League; in Green Lantern, which is a continuation of the pre-New 52 series, he sticks with the old look. There is no way to keep track of all the different costumes Batman wears in his many titles. DC may have advertised big changes in New 52, but many of them involved esoteric characters, as if DC was throwing everything it had against the wall to see what stuck. Deadman and Captain Atom will not return for a second year. Some of the changes to the big names were less than epic, too. The Flash got a new art style, a new costume, and a new series that throws out most of Barry Allen’s resurrection-related angst for a lighter tone. Other than that, no major changes were made, although that doesn’t make the New 52 Flash series any less enjoyable. DC did not completely forget its promise for newness, though. In fact, two of the best New 52 titles were completely unexpected. No one expected Aquaman to be good, but the character’s new attitude and streamlined origin make it one of the best comics titles out there. It got this writer to take Aquaman seriously. Earth 2, launched in the second wave of New 52 titles last May, is a true reimagination of the DC Universe. On this alternate Earth, Superman, Batman, and Wonder Woman die fighting Darkseid, leaving completely new versions of Green Lantern, the Flash, and Hawkgirl to protect the planet. So far, DC’s brave new world has been a mixed bag, and not quite as new as the company wanted us to believe. Still, a couple of solid hits like Aquaman and Earth 2 are worthwhile, even if the rest of the revisions don’t stick. The original Captain Marvel and his alter ego, Billy Batson. What qualities make up the perfect arch-nemesis? Such a villain would have to be totally committed to a hero’s destruction, swearing to fight said hero until the end of time, and to dance on his or her corpse. An arch-nemesis has to be powerful, too. They wouldn’t be very threatening if the hero could casually brush them off. Who has all of these qualities? How about a corporation claiming copyright infringement? Protection of intellectual property (IP) has become a major concern for corporations since the Internet made distributing information so easy. People may be surprised when Viacom or Disney comes down on them for illegal downloads, but this is not the first time corporations have called in the troops to protect their copyrights. In fact, one superhero, Captain Marvel, has spent more time fighting lawyers than supervillains. Captain Marvel made his debut in February 1940. 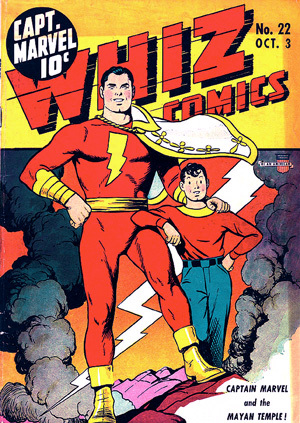 Published by Fawcett Comics, Captain Marvel was a 14-year-old boy–Billy Batson–who transformed into a superhero by saying “Shazam,” the name of the wizard who gave him his powers. The Captain had super strength, and speed. He could also fly and summon lightning bolts. Almost immediately, there was a problem. In 1941, National Comics (a.k.a. DC) sued Fawcett for copyright infringement, saying that Captain Marvel was a rip-off of Superman. 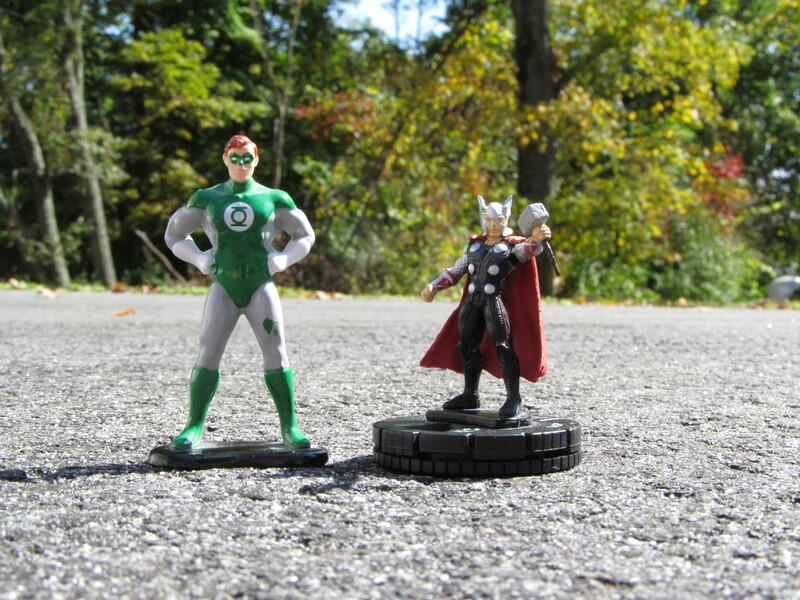 After all, National argued, both were flying, dark-haired, strong men who wore tights and capes. The similarities end there (Clark Kent isn’t 14, nor does he get his powers from a magical wizard), but that was enough to convince a judge that Captain Marvel was an illegal copy of Superman. However, Fawcett won the initial decision on a technicality: National had not copyrighted Superman newspaper comic strips, which constituted neglect, and invalidation, of the copyright. Fawcett was able to make their Superman “copy” because he was based on an un-copyrighted newspaper strip. National appealed the decision in 1951, and the next year the United States Court of Appeals for the Second Circuit reversed the trial court’s decision. Superman’s copyright was valid, Captain Marvel was in trouble. Fawcett settled with National out of court, paying the owners of Superman $400,000 and agreeing to cease publication of Captain Marvel. Some characters are too good to die, though. A few years later, Captain Marvel was recruited by his former foe. In 1972, DC licensed Captain Marvel from Fawcett, gaining total control of the character when Fawcett eventually went out of business. This time, DC found itself facing a lawsuit over the Captain. During Captain Marvel’s hiatus, Marvel Comics had made the obvious decision to create its own Captain Marvel. Fawcett’s copyright on the name lapsed in 1966, so Marvel quickly created its own character and copyrighted the name. 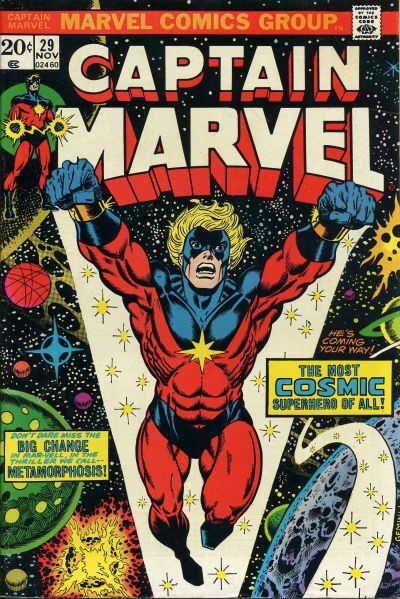 This version–Mar-Vell–was an actual captain in the Kree army. When DC tried to revive the original Captain Marvel, Marvel Comics sued it over the use of the name. The result didn’t work out well for either party. DC was allowed to continue calling Billy Batson’s alter ego Captain Marvel, but it could not publish any comics using that name. To this day all of DC’s Captain Marvel comics are titled Shazam, and the company recently changed the character’s name to Shazam to avoid confusion. Marvel’s Captain Marvel was never as successful as the original, but the House of Ideas needs to continue publishing Captain Marvel comics to maintain its copyright. Today, Marvel has an unpopular character with a popular name (although the latest series with Carol Danvers as Captain Marvel is a great read), while DC has a popular character with no name. The story doesn’t end there, though, because Captain Marvel had more (legal) battles to fight across the pond. Fawcett reprints were sold in the United Kingdom until Captain Marvel’s cancellation, when publisher Len Miller decided to continue the series. 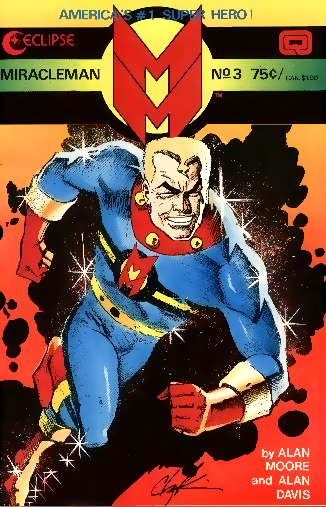 In what was surely genuine copyright infringement, writer Mick Anglo turned Captain Marvel into Marvelman. 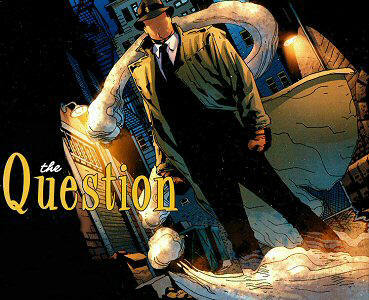 This new version, a young reporter named Micky Moran, got his powers from science, instead of magic. He became Marvelman by saying “Kimota” (“atomic” backwards). Due to pressure from Marvel Comics, the publishers changed Marvelman’s name to Miracleman. The renamed superhero was in the process of a complete overhaul, courtesy of Alan Moore (author of Watchmen and V for Vendetta) and, later, Neil Gaiman (creator of Sandman). In Moore’s apocalyptic revision, Miracleman’s deranged sidekick destroys London, and superheroes establish a totalitarian world state. This darker version of Captain Marvel/Marvelman got a lot of praise from comic fans, but you won’t see it on any bookshelf. 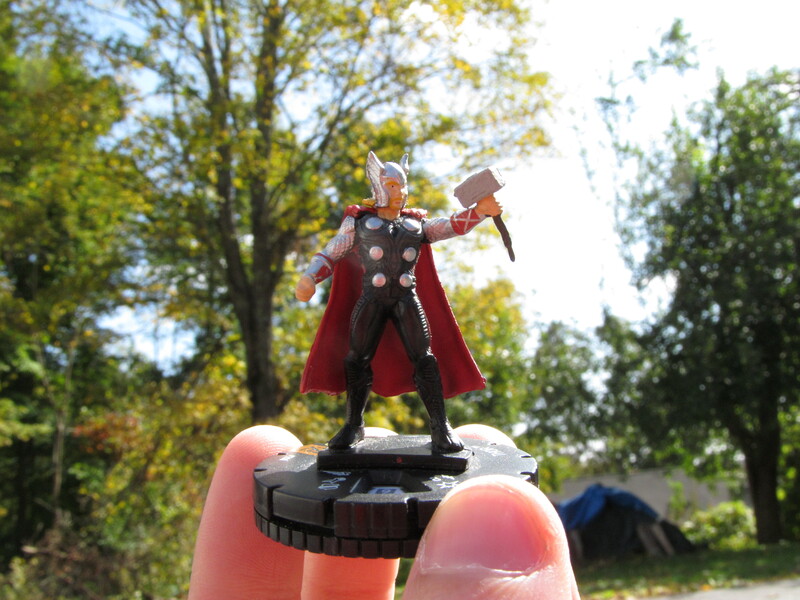 Even an atomically invigorated superhero can’t fight copyright lawyers. Eclipse Comics, the company that published the Moore/Gaiman stories, went bankrupt in 1985. Since 2002, Gaiman has been in a legal battle with Spawn creator Todd Macfarlane over the rights, even using all of the profits from Marvel:1602 on legal costs. This story’s ultimate irony is that what started out as a fraudulent copy of Captain Marvel has become a disputed property in its own right. In 2009, Marvel announced that it had acquired the rights to Marvelman, and is reprinting the old Mick Anglo stories. The ownership of the later Miracleman stories is still disputed. Captain Marvel’s arch-nemesis has struck again. Copyrights are supposed to protect creators of art by making sure that their ideas cannot be stolen. In the case of Captain Marvel, they prevented those ides from being developed. 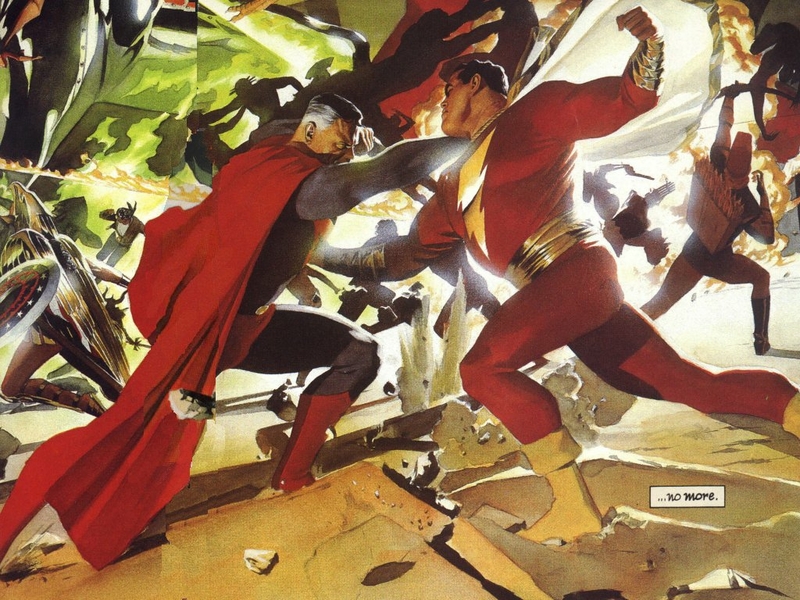 Captain Marvel/Marvelman/Miracleman/Shazam had the potential to be a really interesting character, but sometimes business gets in the way of art. Maybe DC’s next Shazam series will feature a villain in a three-piece suit, waving cease-and-desist orders. UPDATED: Miracleman is back. Marvel will reprint the entire series, including Neil Gaiman’s previously-unpublished ending. The first issue hit comic stores January 15.